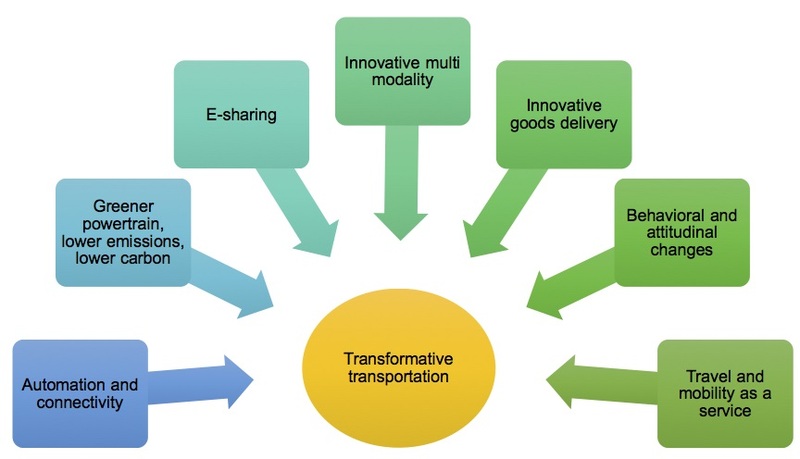 The boldest vision for smart transportation in our cities of the future is autonomous, green, pervasively connected and shared. Numerous technological advances are rapidly emerging and transforming travel behaviour (e.g. autonomous vehicles and e-sharing) [Figure 1]. Such technological and attitudinal changes, together with innovative provisioning of Mobility-as-a-Service (MaaS), are rapidly transforming cities. 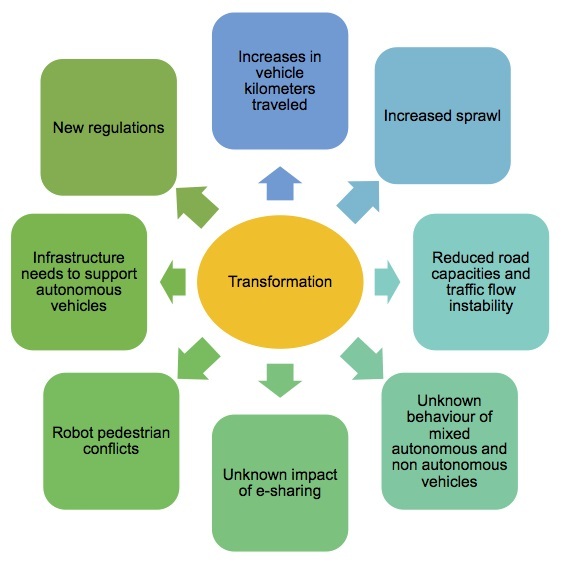 As a result, it is expected that car ownership will significantly decrease and transportation networks will be dominated by self-driven (autonomous) vehicles. 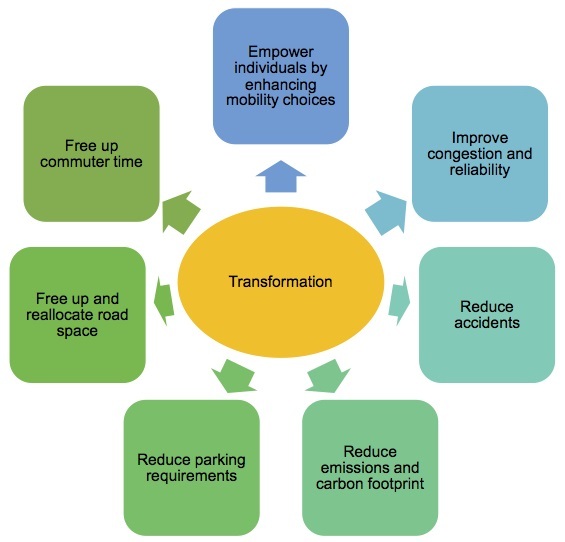 There are benefits, consequences and risks expected with this kind of transformation as summarized in Figure 2, and Figure 3.